Phone-A-Phobia: Is Banning Cell Phones in High Schools Really Constitutional? Today, I fell victim at my high school to such a ridiculous rule that I felt the need to address it here on my blog. During lunch before leaving for my state speech competition, I realized that I had forgotten my swimming trunks. Therefore, I responded by calling my mother, a sensible thing that any teenager that forgot something would do. However, after doing this, a teacher approached me, informing me that I had broken a school rule: I had committed the utter crime of using a cellular device. My school has a zero tolerance policy on cellular devices, which I believe to be unfair, and it is only a matter of time before someone feels the need to address this issue at a higher court. When I called my mom, I "broke" this rule. However, can a school really tell you that you cannot use a mobile device during your free lunch period? As made evident by this incident, they currently can. My phone was taken until my parents were informed, and I received an academic detention. Furthermore, this is what I find to be just ridiculous; I received the same punishment as someone using drugs, vandalizing property, or engaging in truly illegal activities. For the record, I am an upstanding student and citizen, even helping to raise $3500 to bring a speaker and $2000 to fund a senior project. However, when I used my device to communicate with my mother, I was insulted and put on the same level as those that commit real crimes, which actually affect the welfare of another person. This is all the result of what I call phone-a-phobia. 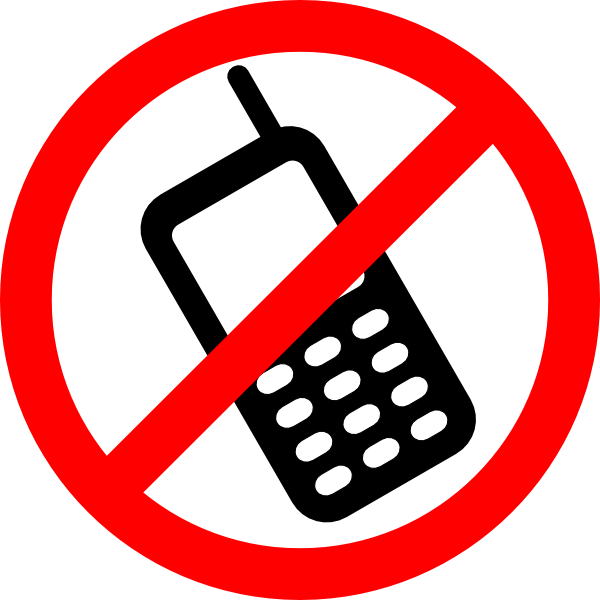 Phone-a-phobia is a fear that school board officials drive into teachers, staff members, and even students, making them believe that the use of a cellular device is actually a crime. This is what I witnessed first-hand when I was making a call, and students around me looked in shock. Phone-a-phobia has resulted in teachers becoming more shocked when a student's phone accidentally rings than when a student is openly using illicit drugs in the classroom. I have witnessed this many times, as I have seen victims who accidentally have their phone ring get verbally attacked by teachers. Today, I was the victim. Phone-a-phobia has resulted at a time when electronic devices should be embraced. Some schools are choosing to enact bring-your-own-device policies; however, some are shunning them, as if they are an evil that cannot be reckoned with. I am not a normal protestor of rules, but this one is too large to be silent. As a future computer engineer, I find it terrible that our classrooms are still living in the 1950s. No one actively speaks of the terrible shape that our schools are currently in, though it continues to rank as one of the worst systems in the developed world. 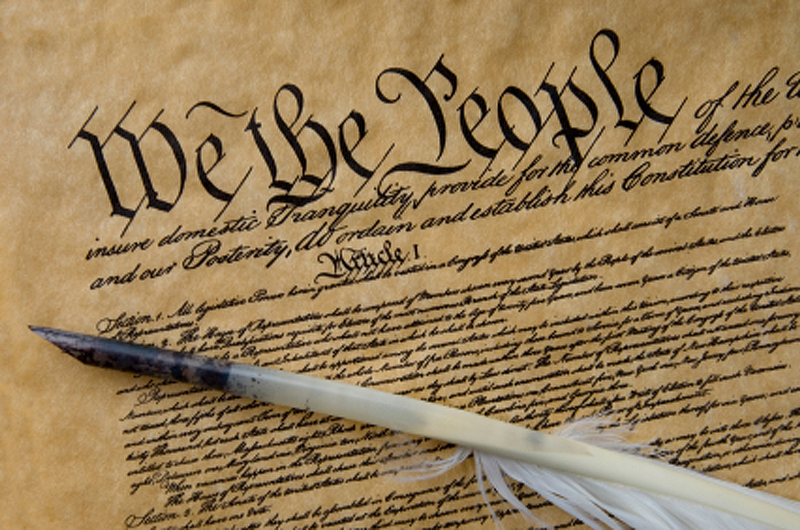 Have we forgotten the words of our country's most important document? Schools are clearly violating several rights of the Constitution by enacting these "no phone" rules. 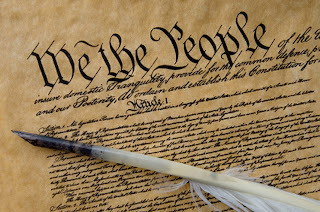 For example, the Tinker v. Des Moines case, which occurred during the Vietnam War, ruled that a school may only take those Constitutional rights that may affect the welfare of other students. A boy was suspended for wearing an anti-war bracelet, and the Supreme Court stated that the school bared no right to take his First Amendment rights. This brings my to my next point. Police officers may not confiscate electronic devices from citizens unless they have a warrant to do so. This is because the Fourth Amendment protects the privacy rights of the citizens. Are we putting high school staff members above the law? If there is a just reason for confiscating a device, such as disruption of class or inflicting damage on another student, I understand that this is required. But in a day and age where schools embrace phone-a-phobia, has it become just to revoke students' Constitutional rights when they are simply calling their mother or checking the time during lunch? I am posting this because it is time that we questioned how high schools treat their students. This education is not granted for free to Americans; it is paid for by the people, for the people. If we raise our students in a totalitarian environment, it can be expected that when they become of age, many of them will embrace a totalitarian society, in which the government protects people from the harm of themselves. High school education is the building block of our society. By making the authority in it so powerful that they begin to protect students from themselves, we can expect that young adults will continue to seek protection from a higher power throughout their livelihoods. This quote by Martin Luther King can greatly paint the picture of the situation that many other students and I have been put through by school rules that unfairly inflict on the rights of the student body. I do not consider myself a rule breaker, but rules such as this one are broken by the best of us. Perhaps I will spend my Monday detention with a drug dealer... or maybe someone that put a kid in the hospital. Nonetheless, I have been labeled today as a troublemaker at Rockwood Area High School, by a simple phone call to my mother. If you have been negatively affected by unjust rules such as this one, I encourage you to share your feedback in the comment section below. I do not advocate the breaking of rules, but I am by no means an advocate of falling victim in silence to an unjust rule. If you are a member of the Rockwood Area School District and hope to bring change to the atmosphere and decrease the oppression of the student body, I encourage you to contact them at (814) 926-4631 or bring an active voice to the next school board meeting, held every third Tuesday of the month. The school board was elected by the people to represent them and if enough parents whose children have fallen victim to this unjust rule take an active stance, together we can bring civil rights and technology back to the school. Rules have gotten so strict in our school that not even the teachers support them. Between the hall pass planner system, the no electronics policy, the banning of Day of Silence, and many other attacks on students’ rights, no time has been better than now to share your voice. UPDATE: For further information on why I published this, please read this post. My intent was not to act like I was above the rules. It was to prevent future students from being negatively affected by this unjust policy. They can't actually "ban" day of silence. We had the same problem at Windber last year. Our principal basically said that nobody was allowed to put up any posters or have any announcements made, but if we participated nothing could be done to stop us. They can't legally ban it, but they get away with it because no one takes any action against it. They stated that they were banning the Day of Silence because students were not participating in class. However, it is suspected by many that they banned it because it was "controversial," as it was sponsored by the LGBT community. Personally, I see nothing controversial about standing up against the bullying of homosexuals, heterosexuals, or anyone. It is wrong to single a group of people out and tell students that if they participate in this day, they will not walk at graduation. Thanks for your advice, Brianne. However, the staff at my school has handled the situation quite professionally, allowing me to openly voice my opinion according to my Constitutional rights. I deeply respect them for that. It is not their fault that rules like this exist. It is the fault of community school board officials, whom take an overriding hand in every matter, despite the fact that most of them have no degree in the field of education. Cell phones are very convenient, but only in certain situations such as emergencies, accidents, etc. They are also nice if you wish to quickly contact a friend/family member, or if you want to make last-minute plans with someone. I don't understand peoples' need to constantly be in contact with each other all the freaking time. The only time I use my cell phone is when I need to contact someone about something important, or if I want to catch-up with a friend I haven't seen in a while. When I'm at college, the phone is nowhere in sight; I normally leave it in my car all day. I don't need it, so why would I take it with me? Now, I do agree with you when you say that schools are taking this way too seriously. I don't think using your phone during lunch is ground for a detention, but hey that is the chance you took. To be quite honest, I think cell phones are for the most part, terrible. That's just my opinion. I respect your opinion on cellphones. In ways, they have hurt society, as many studies have proven that they have made us less social. However, this article is not focused on cellular devices as much as civil rights. If you can tell someone that he or she can't legally use a cellphone, you can quickly take control of many more aspects of his or her life, as our school has chosen to do in a somewhat totalitarian manner. I would just like to say that my school has adapted a policy recently (2 years ago) that allows a student full access to their phone during non-instructional time and if a teacher permits, they are even aloud to use their devices during class. The student body literally cheered at the announcement. Now, our students are free to call, text, surf the web from their phone. Our school has even provided a WiFi network for all the students to access. The drawbacks? Minimal. Because the monitoring of phone usage is non-existant outside of classrooms, students are not hesitant to begin discreetly texting during class, however I think we can all agree that regardless of the scenario, you're always going to have teenagers who are trying to text during class. If a student IS caught texting in class, the teacher is allowed to take their phone for the duration of the class, and upon repeat offences, they may take it for a duration not exceeding 3 days. All in all, a great all around policy. I agree! It's good to see that many schools are becoming in favor of technology in and out of the classroom! I would be greatly pleased if my school would move in this direction! While I agree that schools shouldn't be able to impose totalitarian rule over students, I think this particular case involves a slight overreaction. Could you have gone to the school office and made the call without violating the rule? If so, you took an unnecessary risk using the cell phone and you probably knew that at the time. Whether or not the rule is fair, you broke it and you are no further above punishment than anyone else who breaks a rule (if your school really punishes those caught with drugs with only a call to the parents and a detention, then that's a problem with that rule). Rules that only apply in certain situations or have exceptions for emergencies become very difficult to enforce fairly. Just my thought. I agree that I am no further above the punishment than anyone else, and I am making this post for just that reason. This will probably not affect me again during the last two months of my schooling, but it will certainly affect students in the future. If a rule is not just, it should not be continued. Public schools are paid for by taxpayers, and the school board should not have authoritarian rule over all. The rules in my district have gotten so terrible that students, parents, and even faculty members have become greatly opposed to them. I received a detention after my phone went off in math class approximately one month ago. There are only around 10 students in my class so my teacher would have been aware if I was using my phone. My book was resting against my stomach and desk when the corner of my book set Siri off by pushing down my home button. I did not receive a text, it was just one beep followed by two when Siri was done listening. I have never received a detention before this day nor have I after. I felt as if it was unfair too because I was doing nothing wrong.